This interview - commented by myself - was made by a visitor at the foot of the "pyramid of the Moon" (Pljesevica), probably at the end of the 2006 summer; and this visitor had the opportunity to benefit from Mr. Osmanagic’s scientific explanations. The below extracts - that tell us more about Mr. Osmanagic himself than about the "pyramids" - were transcripted by Stultitia (bs) and translated by myself. The original video in Bosnian can be seen on YouTube (bs). Osmanagic: Evidently the age of the pyramid is very ancient. Let’s say that each centimeter [of soil] represents two hundred to three hundred years... of formation... each centimeter of clay... There at this location there was about 40 centimeters. Forty centimers multiplied by two hundred or three hundred is 8,000 to 12,000 years. So it is surely very old. About this "datation" by Mr. Osmanagic using the thickness of the soil, one must remember that it is impossible to deduce directly the age of a site from the depth of the sediment above it; indeed, this depth varies a lot with geological (nature of the rocks), topographical (site located at the bottom of a slope or near the top), and especially climatic factors. Mr. Osmanagic had indeed a pedological analysis made for the two "pyramids", but the results of this analysis do not allow any conclusion about the age of the soil, see here. Visitor I: That’s why the historians are... against that? Osmanagic: It’s like that. It’s normal. Visitor I: ...because all their history falls down? Visitor II: And these other... archaeologists and so on... They agree with them? Osmanagic: The archaeologists will be the last to recognize the existence of the pyramids. Because it ruins everything they have learned in their life. And everything that they have teached wrongly to our children for tens of years. And everywhere in the world. They will be the last ones. But they will have to. Either they will continue to live in the nineteenth century, or they will join this. There are proofs here. As we will find more and more, it will be impossible to discard them. It can be seen that man has set these slabs. Here, there, there above (points to the top of Pljesevica); set slabs there, he has casted concrete (points to Visocica), he has bored the tunnels. According to all of that, these are proofs, one cannot do better... (rises his voice) They thrust their head in the sand and say that it doesn’t exist. It exists. And as we discover more and more... first they will be silent, as they have already begun, because at the beginning they made a lot of noise, "stop him, stop him", and now as they could not stop us they keep silent. Very classical rhetoric from "alternative searchers": if the scientists refuse to recognize their brilliant and revolutionary theories, it is not because their so-called "proofs" have no value, it is because these scientists are, one can choose: blind, dishonest, out of date, because they fear to loose their job... As far as "living in the nineteenth century" is concerned, I’m afraid that the one who has got a totally wrong and out of date idea of archaeology, between Schliemann and Indiana Jones, is M. Osmanagic himself ! Visitor III: They haven’t written anything in the newspapers for two months. Osmanagic: Ah,... they do not dare to show up anymore! Because if twenty, fifty, a hundred thousand people come here, if they see that it was built by man, and them, they claim that there never was anything here, and that there is no historical proof of the existence of a culture. On Pljesevica. On Visocica they say that there is something, from the Middle Age. Here nothing exists. According to that, to them, here one should not be able to find anything one meter deep. And no, we have dug one meter of earth, and see what we have found. Visitor IV: ... of the old town above? Osmanagic: Nothing! Above there isn’t anymore stone on stone. When the Turks have burned it five hundred years ago nothing was left. Nobody lived there and nobody have taken it in account! So we said that we would restore the old town and if it exists the small Roman post and the small Illyrian settlement and the pyramid. And (rises his voice) they attack us! Them! Who by their neglect have allowed this to break down! They attack us as if we destroyed something. Of course, the medieval fortress is ruined. But M. Osmanagic has an interest in voluntarily underestimating its size and the attention it received in the past from local historians and archaeologists (in this article (bs), Stultitia shows the contradictions between how Mr. Osmanagic and Mr. Hodovic present Visoki site, and what say about it historians like Desanka Kovacevic-Kojic or Pavao Andelic). Mr. Osmanagic forgets to say that it is a protected National Monument (see the presentation of the site (en) by the Commission to preserve National Monuments), that it played an important political and military part in a densely inhabited valley which was the heart of the medieval kingdom of Bosnia, that beside the fortress in itself there were most probably settlements on all the hill slopes, and that it is because of the danger that Mr. Osmanagic’s "excavations" represented for these little known medieval settlements that the protected area has been extended in 2006. Recording man: We don’t know, is that it? Osmanagic: There was nothing, that’s what they say. 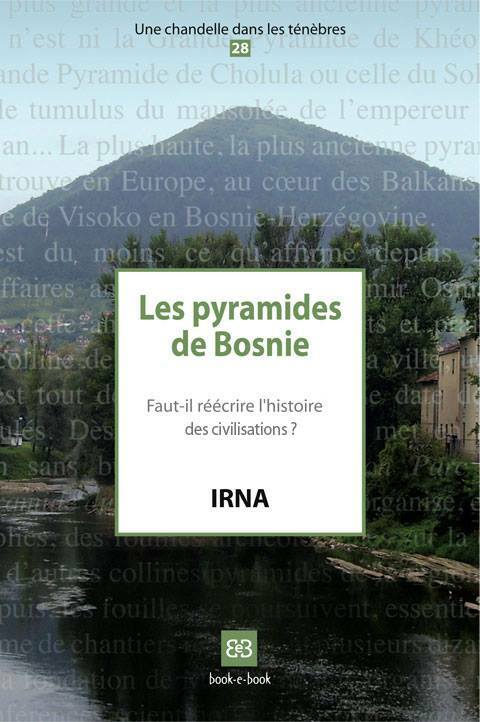 But there, there is a mystery in Bosnia, we have pyramids, we have stone spheres, we have... (indistinct) already material proofs that there was something in a far past. On the stone spheres, see here and there. Recording man: Do you, have you found these metallic rings somewhere? Osmanagic: There are many tales and legends but nowhere could we find them. Osmanagic: ... and we know that during the 70’s and 80’s they have been systematically removed! Everywhere, from Krajina to North Bosnia, central Bosnia, they have removed them and taken them, who, why, we don’t know. But then there was some talk of their existence. In the villages, people who had contacts with other villages have talked, they existed, but they are not there anymore. Visitor III: Our aunt told us, she went there when she was a child, and she saw them. Ah, these iron rings! Everyone has heard of them, but no one has actually seen one! According to Mr. Osmanagic’s great friend Jovo Jovanovic (see here about the appendix of the book "The Bosnian pyramid of the Sun"), these rings were used to tie boats at a time when the sea level was higher by several hundred meters (according to the historian "Foresterius", who wrote two long texts about these rings on his blog (bs), the height of the supposed locations of these rings varies from 300 to 900 meters). In this text (bs), Foresterius explains how could have appeared this myth of the "iron rings" in the medieval Bosnia, from elements like the biblical Flood legend, and the presence of marine fossils on the top of some mountains. It is clear that Mr. Osmanagic, for himself, does not doubt the existence of these rings that nobody saw, and thinks that their current absence is the result of a plot: "they" have removed all the rings. Who are "they"? the government? the scientists? the "hidden elites who control the world" (see here)? Recording man: This, we have seen this up here on Kozara, these channels, there are many stones like that dug, carved, maybe even by water or something else, but carved stones. Osmanagic: ... the pyramid of the Sun. Because the sea level was maybe 50 meters below the summit. For some time. But there was a ring. And they have removed it. In the 70’s. This is how history is unfortunately destroyed, but then some tales have been saved. Let’s recall that the height of Visocica top is about 760 meters, that means that, according to Mr. Osmanagic, 10,000, 12,000 or 25,000 years ago the sea was 700 meters above its present level - and that during a time sufficiently long for a human civilization to create harbours and set rings to tie their boats... This belief, common in all the Osmanagic team (his father, Muris Osmanagic, and the engineer Goran Cakic have also written something like that) contradicts ALL that is known about European and Mediterranean geological history during the Quaternary Era, and has absolutely no scientific basis. Osmanagic: It is nothing other. A pyramid. (indistinct) I was invited, by chance, a year, year and a half ago, to visit the local museum, and to be shown this place were was this Middle Age town. And what leaped to my eyes was this shape, precisely this place where we are, this Pljesevica. Assistant (in red shirt): ... because it is how pyramids are made. Osmanagic: For me it was sufficient to understand that it is not a shape made by nature. And I, when I see that, I don’t see green, I see grey walls, blocks and all that. Recording man: Say, do you have, because of these houses, here there are many houses with four-sided roofs, and they are oriented toward the cardinal points, is there a link with these pyramids maybe? Osmanagic: These houses have been constructed like that for generations. Recording man: With four sides? Osmanagic: And that mostly in central Bosnia. Recording man: Yes, yes, with four sides. Recording man: ... and are these pyramids, each builds its own pyramid? Osmanagic (shakes his head): Each builds its own pyramid, each is under a pyramid. You now know what you ought to do in order to stay in good health: change the shape of your house roof! Woman visitor: And what about the tunnels, the ones in Ravne? where have you reached? Osmanagic: Well, we are arrived at 350 meters, and for the moment we are stopped as the yougoslav army closed them in 86 then they have destroyed with dynamite part of the tunnel, maybe 20, 30, 50 meters, I don’t know. We have cleaned 4 or 5 meters, but it is very difficult. So that for the present we try to circumvent this ruined part and to dig an entry from the surface so as to continue with this tunnel. In fact i think I would prefer... because I know that up there there are two entries from the town on the top of the pyramid of the sun, but it is already in the protected zone and we should not do that. Recording man: And in these tunnels, is it the same construction material as on the surface, with these sandstones? Osmanagic: The construction material is... there it is already natural breccia, it is natural breccia. Apparently they have dig across the breccia. And these slabs where we stand, that are decorated by the man, it is sandstone, it is identical to that one, but a little bit more ferrous. The sandstone identical to the "breccia"? And with all the geologists in his team, none has succeeded in explaining him what are the "ripple-marks" that decorate these sandstone slabs? Woman visitor: And in which way these... this... these tectonic modifications can have produced a change in the shape of the pyramid. Assistant (in red shirt): ... flowed. Osmanagic: Have flowed, are fallen, and so on, and as they are fallen, the geometry of the pyramid has been lost, and it is the single slightly rounded face... And that’s why there are debris that make it here a little bit, well, rounded, but three sides are left that are very, very very well preserved. These earthquakes are very handy, they allow to explain without any problem any anomaly in the "perfect shape" of the pyramids... Except that such a recent (from the geological point of view) move of the great fault mentioned by Mr. Osmanagic (fault which really exists, and was already active during the Tertiary Era), such a "gigantic earthquake" a few thousand years ago, would have probably left much more traces than a few blocks "flowed" (!) from the "pyramid". Woman visitor: And that up there on the plateau (shows Visocica), I’m interested in this stacking one upon the other. Osmanagic: Well I think that happened there a, a kind of uplifting and also a breaking, and now... What I suppose is that everything there has been cast in one piece, it is sandstone, it has been cast on the spot. Woman visitor: What differences with these ones? Recording man: It means that there are still excavations there? Osmanagic: Yes, we dig toward the edges there North and East of the pyramid of the Sun, there are two trenches opened, and here I suppose this is the edge, what we do in the first, second, third, in the third inclined probe hole, it is most probably the edge. On the famous "edge" of Visocica, see here. Woman visitor: And to which level of Perac does it go? According to you? To which part of Perac? To the church? It begins at that level? Osmanagic: What I think is that it was like that, everything here was in a valley. All was flat, there were no hills, there was nothing there where are today the pyramids. And as when you build a car park, a great public car park, first you go downwards two or three storeys under the ground then upwards four five storeys, that’s how a car park is built. According to me here it was made the same way. First they have dug downwards, cast gigantic foundations, then upwards. Recording man: With these pyramids? Recording man: And the other hills, they are also pyramids? Osmanagic: Well, for these five objects, using several methods we know that they behave like artificial objects. For two of them, Sun and Moon, we have geological proofs that they are artificial objects. Thus for five objects we know. Some are mentioning still two objects and these, when looking at them just passing by, when one looks at them they also look like pyramids. We still haven’t publicly mentioned them. But I can say to you that they are here between the Moon and the Earth there far left. You mustn’t go there, there are many mines. But it seems that there are there two smaller, two smaller pyramidal heights, as I would call them. And that is what we know for this part of the Visoko valley. However, I was today in Vratnica, four kilometers from here, and I say to you there is there something like a tumulus, a circular height with slabs and wonderful blocks, like the ones here. Visitor III: It could be a pyramid too? Visitor III: And they are artificial? "Geological proofs that they are artificial objects"??? If someone can explain this to me... I would have thought that archaeological proofs were needed. And what are the "several methods" which allow Mr. Osmanagic to affirm that five hills behave like "artificial objects"? In my opinion, his single argument here is the "thermal inertia" map given by Mr. Smailbegovic, a map that mostly shows that all the hill-tops in Visoko valley cool faster at night than the lower points. The logical leap made by Mr. Osmanagic ("Thus for five objects we know") is quite impressing! As for the presence of slabs on other hills in the region ("everywhere there are slabs and blocks"), a visit here will show you that it is not a very strong argument. Osmanagic: We continue to discover the pyramids. They have discussed, they have insulted, but they haven’t... (indistinct). So, if we had a thousand people during the next season, working for six months, we could unearth all the North face. The entire North face, with its steps, its entry and so on. But, to unearth it entirely, there are up there a hundred houses, some are at the foot, some are even built on the pyramid. It means that we would theoretically have to buy a hundred houses, at 100, 150 thousands, that is 15 millions marks. A thousand people at 25 marks, 25,000 marks a day, multiplied by 200 days that is 50,000 marks, added to these 20, 70, almost 100 millions marks. Who can give 100 millions marks for such excavations? Bosnia does not have this money. And also the world is not ready. Let’s pass over Mr. Osmanagic’s strange arithmetics, each one of us can make this kind of mistake. "Who can give 100 millions marks for such excavations?" No one, let’s hope, will ever give even a tenth of this sum in such a pseudo-archaeological project. On the other hand, if a generous patron is tempted in investing in Bosnian archaeology, there is much to do: here is for instance a list of absolute priorities by the European Commission and the Council of Europe, of 20 monuments (en) in Bosnia and Herzegovina that are considered as elements of the National and European Heritage, and that are threatened, for some of them, of a total destruction in a very short time. So, no, Mr. Osmanagic, the world is not ready, and I hope that it will never be, to follow you in this kind of expensive pseudo-archaeological adventure.